It is almost two and a half months since I last posted! I have been laid up with sciatica again, which means no quilting. Just as I thought I was getting better last week, yesterday I had a relapse. Not good. I do want to finish the Dreamcatcher! 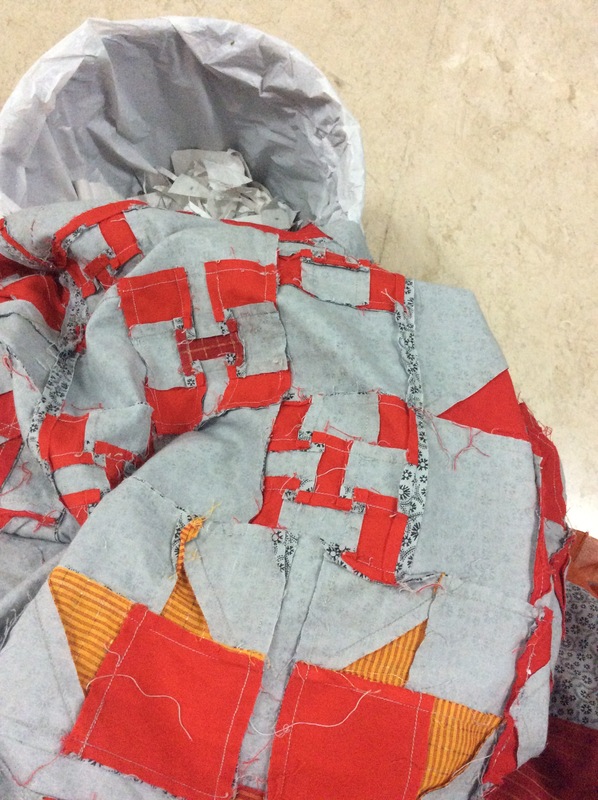 I spent today afternoon removing foundation paper from my Just Takes 2 quilt. Now to trim the thread and iron the seams. It will be my next quilting project, so I am getting it ready! 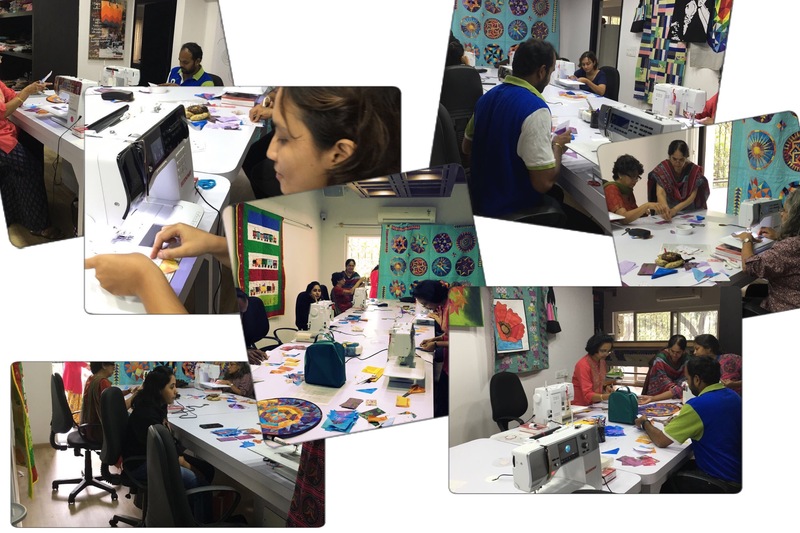 Meanwhile, my quilting friend Sobana Sundar of thequiltbug.blogspot.in held a workshop at the Tsala Studio, Bangalore to teach paper foundation piecing, using the pattern for the Evening at the Pond block from the Dreamcatcher quilt . 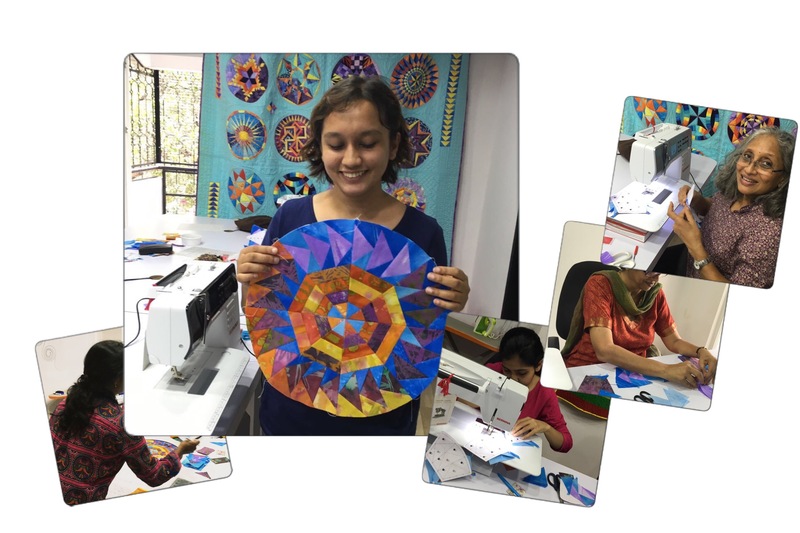 Vatsala Kamat, who runs the Tsala Studio, is an awesome quilter! She does the most gorgeous English paper piecing and hand applique. Do pay her a visit if you happen to be in Bengluru! Here are some pics of the workshop. Sobana’s version of the Dreamcatcher quilt can be seen in the background! 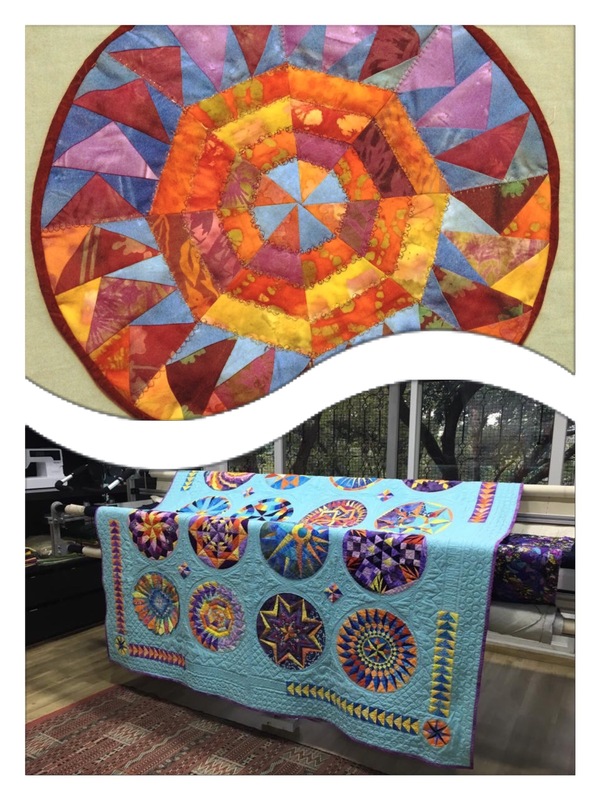 Here is Sobana’s Evening at the Pond round table runner and the Round the Year Dreamcatcher quilt! She has used the Layout Option 2. Most of the fabric used by her was dyed by her! Stunner, isn’t it? You can find the patterns for all the sixteen blocks with detailed instructions linked here! You could start with this block, it is the simplest. Happy quilting to you. I can only browse the net and dream up new quilts to make.